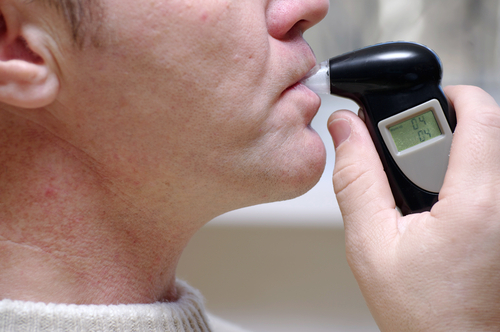 BAC charts and calculators posted online provide some general info about how people’s blood alcohol content can be impacted by consuming some number of alcoholic beverages. While these charts and calculators can be used as guidelines, however, it’s important that people do not solely rely on them to determine whether it’s safe (or legal) for them to drive if they have been drinking. This is because BAC charts and calculators have some significant limitations, a handful of which we will point out below. 1 – They estimate the strength of one drink. BAC charts and calculators have some big limitations that people should understand, a Boulder DUI lawyer explains. Here’s why you shouldn’t rely on their estimations to know when it’s safe or legal to drive after drinking. BAC charts and calculators assume that one drink will have a standard alcohol content. For example, the assumption can be that booze is 70 proof (i.e., 35 percent alcohol by volume). In actuality, however, the amount of alcohol contained in different types of alcoholic beverages can vary widely, with some of the strongest alcohols being 100 proof. Similarly, mixed drinks and heavy pours can also mean that more alcohol is consumed per drink than the BAC charts and calculators estimate. This ultimately means that these charts and calculators can provide inaccurate (and lower) estimates of BACs. 2 – They don’t account for how quickly drinks are being consumed. Another assumption BAC charts and calculators often rely on is that people are consuming alcoholic beverages at a consistent rate over time, with the typical assumption being that one drink is consumed per hour. People may not wait for an hour to pass before they have a second (or third, etc.) alcoholic beverage. So, this assumption too can lead BAC charts and calculators to inaccurately evaluate people’s actual BAC levels. 3 – They don’t account for whether food has also been consumed. Whether people are drinking on an empty or full stomach is another consideration that is not factored into BAC charts’ and calculators’ estimations. In fact, when people drink on an empty stomach, their BACs will increase more sharply when consuming alcohol because there is no food in their system to absorb the booze. This can mean that BAC charts and calculators underestimate BAC levels for those who have not recently eaten before drinking alcohol. 4 – They can’t account for individual metabolisms, medical conditions. Given that every individual has a different metabolism – and potentially even different medical conditions, people will metabolize and respond to alcohol differently. Ultimately, BAC charts and calculators cannot factor in these individual differences, making their assessments basic estimations at best. Are you surprised to learn about some of the limitations of BAC charts and calculators? Sound off on our Facebook & Google+ pages.